Everything you need to create a delicious Italian meal in your own Kitchen! 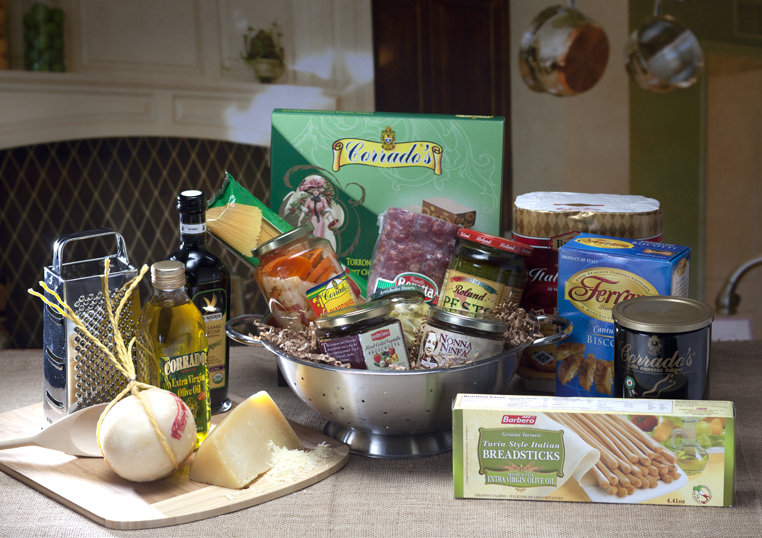 Includes: Italian toast, flavored breadsticks, extra virgin olive oil, balsamic vinegar, Corrado's® provolone, soppresata, pesto sauce, spaghetti, Corrado's® torrone, espresso, Italian appetizers, and biscotti. A real favorite for Italian food lovers!